CAN-AM CHAINS is a premier manufacturer of a wide variety of welded steel, specialty chains, bearings, sprockets and engineered plastics for the forest products and waste water treatment industries. 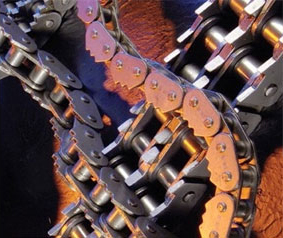 With a reputation for performance and reliability, CAN-AM CHAINS include roller chains and welded chains, such as mill chains, drag chains, malleable chains and power transmission chains. Whenever chain performance means productivity, CAN-AM CHAINS Delivers! CAN-AM CHAINS is a leading chain manufacturer for the forest and waste water treatment industries. For welded chains, we offer the full range of specifications, including WH157 Welded Steel Chain, WH132 Welded Steel Chain, WD110 Welded Steel Drag Chain, WD120 Welded Steel Drag Chain and Welded Steel Drag Chain. 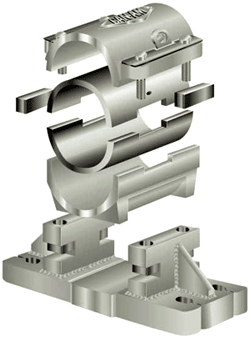 We manufacture roller chains according to industry standards, conveniently allowing you to buy in single strand, multiple strand and component forms. Speciality chains are also available. Get everything you need from one place. View our detailed catalogs for engineered plastics, steel sprockets, bushing materials and more. We know that chain performance means productivity, so our chains are engineered to withstand heavy shock loads, stops/starts and reversals. Standardized designs allow you to seamlessly incorporate new parts or replace old ones, and custom designs are also available. Whether you’re handling lumber, pulp and paper, plywood, oriented strand board (OSB) or other board materials, our products are built to handle the job. We are specialists in steel chain and plastics for the forestry and waste water treatment industries. Here’s a list of some of our most known products. 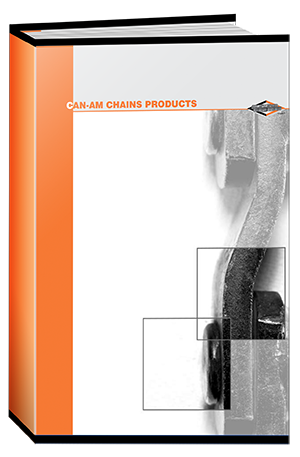 Browse through the full downloadable CAN-AM CHAINS product catalogs in different dimensions and languages. We also offer downloadable catalogs for specific series of products including chains, sprockets and bearings. As manufacturers of welded steel chain since 1966, CAN-AM CHAINS now offers a wide variety of welded chains and roller chains. 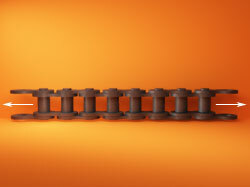 Our roller chains are of the highest quality and can be customized to meet either British or American standards. CAN-AM sprockets are typically made of mild steel plate, although heat treated plate is available with hardnesses from 360 to 500 BHN. Customers can specify which material is required and many sizes come with bores, keyways and set screws. CAN-AM CHAINS offers products, materials, and services with engineered plastics for today's industrial applications. There are a wide variety of uses for engineered plastics from wear guards to plastic chains. CAN-AM bearings are made for less down time with recessed grease fittings for damage prevention. Customers can choose from 4 different types of bushings: urethane, bronze, babbitt and zinc aluminum.